Today, you'll learn more of the wonderful medicinal benefits of Aloe Vera. Aloe Vera may look like a simple ornamental plant to you, but it can provide thousands of benefits for your everyday life. Aloe vera is for emergency first aid situations. Aloe vera is for healthy body. Aloe vera may fill all of your medicinal needs. Aloe vera can help save your daily budget. Aloe vera can save your busy time. Aloe vera is your natural home remedy. Aloe vera can support the health of your family. According to some information, there are about 300 or even more varieties of Aloe vera in the world. However, we believe that most of these varieties share the same efficacious value and taste. 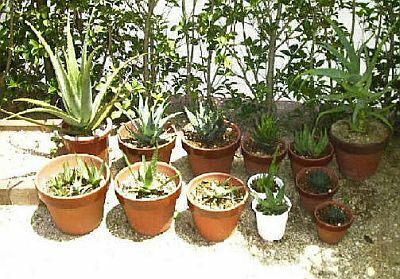 Having an Aloe vera plant in your home garden or in clay pot near your windows can be conveniently utilized for immediate responses to illness or injury. I can tell you that Aloe vera can do hundreds of marvellous works for you. According to medical books oral herpes is caused by a virus. The virus remains dormant until the time it gets a signal from the body such as when we are tired and stressed, where outbreaks may come on suddenly with skin inflammation and blisters. Building a healthy and strong immune system will help combat the herpes virus and prevent it. When such virus suddenly attack your body and if your body is not prepared, and when there's a sign of inflammation around your lips, try eating fresh aloe vera leaves immediately and apply extracted aloe vera gel around your lips. Through this, you can at least lessen the viral activity and lightly reduce the inflammation of the skin. More importantly, attend to it as quickly as possible to prevent worsening of the symptoms for you to recover before approaching your physicians. 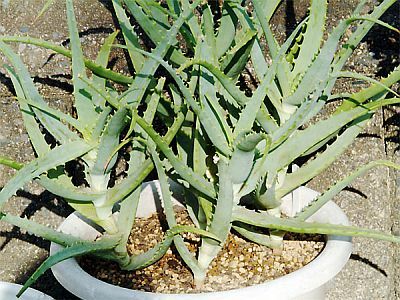 It is so nice to grow fresh Aloe vera leaves because of its versatility for all-around use. Historically, Aloe vera is also known to have worked in strengthening your heart, veins, and arteries. 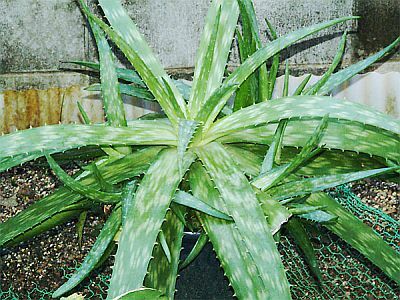 Unfortunately, the underlying properties of Aloe vera that helps improve the heart are not yet well established medically. However, studies have shown that mucopolysaccharide or glycosaminoglycans (GAGs), which is an ingredient in Aloe vera gel, is believed to be a contributing factor in enhancing the heart. Mucopolysaccharide of aloe vera contains many micronutrients, that helps soften the blood vessel walls, promotes proper blood circulation, and absorb cholesterol in the blood. In turn, Aloe vera is believed to prevent atherosclerosis and heart disease. However, don't expect that the use of Aloe vera will help improve your blood pressure overnight. Aloe vera must be used and consumed continuously before you will see and feel positive results. In any case, Aloe vera can promote proper blood circulation and prevent the onset of hypertension and arteriosclerosis. Whether it's heart attack, stroke, or other severe and life-threatening illnesses, you can expect a lot to prevent all of these through the consumption of Aloe vera. To improve your everyday living, we really recommend you to take and consume Aloe vera.